Power outages can be devastating to your computer. Not only can you lose files, but your computer itself could be at risk for severe damage. If this happens seek immediate computer repair. If you are lucky enough to have your computer make it through a power outage, you still won’t be able to use it, nor extract important files from it. 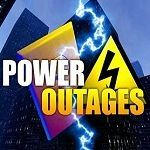 A UPS or uninterruptible power supply can aid in power outages. A UPS is a battery containing device that supplies back up power to your computer in case of a power outage. The battery allows for you to keep working during a power outage or at least give you an opportunity to shut down your computer properly without losing data, thus saving you money from costly computer repair. They also work well during brown outs and electricity spikes. The UPS will come with power management software that can be configured to sense an outage and safely shut your computer down in the event you are not in front of your computer at the time. You can also set your computer to come back on when power is restored. This works well when you are accessing your computer from another location. If you need help purchasing a UPS or your computer has been damaged by a power outage, call Up and Running Computer Solutions, Inc. in Corona, CA for help. Our experienced and trained technicians can help with any computer type purchases or computer repair problems you may need. Call today 951-737-8558 or visit our website at www.urcs.net. Also servicing Riverside, Anaheim, Irvine, Newport Beach, Tustin and surrounding areas. The FAA is set to relax their rules on portable electronic devices on commercial flights. These changes should take effect next year. 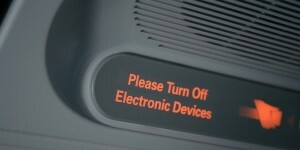 When boarding an airplane you will no longer have to power off you electronic devices. Currently before take and off and landing your electronic devices must be turned off. In a world where we are dependent on technology, these rules have consistently been up for debate. The FAA states that they are uncertain about radio signals the devices give off. If certain radio signals are given off from a device it could interfere with the airplanes communication, navigation and flight control. The new rules will allow passengers to use e-readers, phones and tablets to watch videos, read and play games. There will still be a ban on phone calls and texts. Being able to pass the time watching a movie or playing games will definitely win the praise of passengers, especially on long flights. Electronic devices rule our business and social world. If your laptop, smartphone or any type of computer goes down call Up and Running Computer Solutions, Inc. in Corona, CA for help. Our team of highly knowledgeable and experienced computer repair technicians can help with any problem you are having from network issues to setting up your smartphone. Call today 951-737-8558 or visit our website www.urcs.net. Also servicing Riverside, Anaheim, Irvine, Newport Beach, Tustin and all surrounding areas. 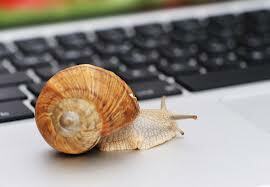 Slow internet seems to be a common problem for everyone, whether it is at your office or home. Slow internet can be annoying and time consuming. So we will answer the question today…Why is my internet so slow?? Our computer consulting team at Up and Running Computer Solutions has the answer. LAN is Overloaded: Most people now a days do not connect their computers directly to the internet. They are connected to a local area network. A LAN can be wired or wireless and will have a connection to the internet router. When the LAN is overloaded with traffic, internet slows down. DNS is Slow: DNS stands for domain name system. Computer do not connect directly to hostnames such as www.urcs.net. The host name needs to be transformed to an IP address in order for a connection to be ascertained. If the DNS server is slow to respond this will cause your internet to seem slow. Undetermined Downloading: Most applications on your computer are always looking for updates on the internet. These searches run in the background and you do not necessarily see them. Downloading a large update could slow your internet. Malware: Clicking on links to compromised websites or clicking on pop up ads leads to software hijacking. This malware gets installed on your computer without you even knowing causing your internet to be slower. Poor Connection: Sometimes there can be a problem with the physical internet connection. Your wires, router, or modem could be going bad. If you internet is slow and you can’t figure out why, call Up and Running Computer Solutions in Corona, CA at 951-737-8558. Our computer consulting team will diagnose your computer problem and help get your internet back up to speed. Proudly serving Corona, Irvine, Riverside, Anaheim, Tustin, Newport Beach and all surrounding area. Computer owners beware! There is a new Ransomware computer virus going around. Ransomware is malicious software that gets installed on your computer and criminals can lock it from another location. You will get a pop up window warning that looks like it’s from an official authority. They say something about your computer being locked because of illegal activity and demand payment before you can access your computer again. Computer repair will then be needed. 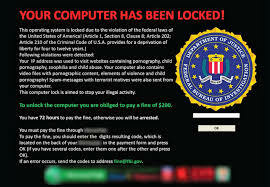 The newest ransomware has a pop up with the FBI logo, warning you that you are guilty of illegal music downloads or some other illegal internet activity. Then your computer locks up. The message tells you to pay a fine or you will be arrested. It states that if you pay the fine your computer will be unlocked. This is a scam. Do not give money, credit card information or personal information to anyone asking for it on your computer and seek a computer repair technician immediately. Antivirus companies are constantly working to keep up with the newest viruses to prevent this from happening. However, computer criminals are always finding new ways to get around antivirus software security. Be sure to keep all your antivirus software up to date. If you happen to get a ransomware virus and are in need of computer repair or need antivirus software installed contact Up and Running Computer Solutions for help at 951-737-8558. Visit our website at www.urcs.net. Proudly serving Corona, Irvine, Riverside, Anaheim, Newport Beach, Tustin and all surrounding areas. Increased Connectivity: Networks can connect an unlimited number of computers, thus connecting the people using those computers. Share Hardware: Networking helps users to share hardware devices throughout the office. Devices such as printers, copiers, etc. This cuts the cost of having say a printer at every workstation. Easy Data Management: Networking all company data in one place makes it easy for the administrator to manage it efficiently. 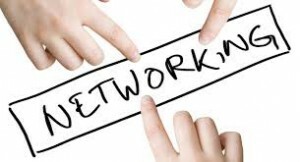 Networking offers the benefit of centralizing data from all the user systems to one system where management of the data can be done efficiently and it can be managed in an easy and improved way. Data Sharing: Networking provides all data in a centralized location that can be easily accessed by all employees. The sharing of data through a network saves time allowing your employees to get more work done in a day. Permissions and restrictions can be set so certain employees can only access certain files. Internet: Networks offer internet service for the whole network. Every computer on the network will receive high speed internet, can experience the high speed internet. Quick processing and delivery of work load. Serving Corona, Riverside, Anaheim, Irvine, Newport Beach, Tustin and more! Do you know if your computer has a virus? If your anti-virus software is out of date or a virus managed to slip by, you very well could have one and not even know it. There are signs to look for that could give you a warning signal that your computer does in fact have a virus and is in need of computer repair. Compute has become erratic – Viruses and malware infects important files that help your computer run correctly. If these files become infected your computer could crash. If a crash occurs you will get a message that there is corrupted data. Computer is slow – Viruses deplete your computers processor. Inability to use drives or files – When trying to open certain drives you get an error message, files won’t open, and applications won’t run. Constantly changing file sizes – your file sizes will change up and down even if you haven’t accessed them. If you think you are a victim of a computer virus or malware call Up & Running Computer Solutions so we can remove the virus before important data on your computer is lost. We specialize in computer repair and can remove your virus and get your computer set up with the latest anti-virus software. Call 951-737-8558. Visit our website at www.urcs.net. Serving Corona, Riverside, Irvine, Anaheim, Newport Beach, Tustin and more! When running a successful business, your computer system is a vital part of that business. Computers are essential in business. And when your computers are down, your business shuts down and you’re not making money. This is why managed IT services are becoming so popular. Reduced costs – Managed IT services will take care of your computers with no need for an in house IT department which can be very costly. By hiring an IT company you will only pay for the IT support you need when you need it. Productivity – Trying to solve complex IT problems yourself takes away from the important business you should be attending to. A professional IT company can solve the problem in a more efficient time period. Flexibility – You get to customize your managed IT services plan to best suit your business’ needs. Our Managed IT Services program is designed to give you the ultimate in service and reliability while keeping your costs under control. By monitoring your systems 24/7/365, installing necessary updates, performing routine maintenance, and proactively resolving potential problems from our offices, we can keep your network running at its’ peak for less than the old “break/fix” model of IT services. A managed services contract allows you to quit worrying about your network and also allows you to budget your IT expenses with no costly surprises. This allows us to concentrate on finding ways to leverage your technology investment to make your business run more smoothly and profitably. Serving Corona, Irvine, Riverside, Anaheim, Newport Beach, Tustin and more! 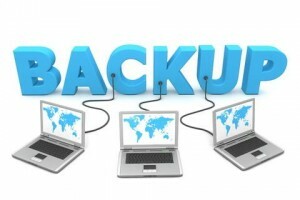 We suggest having a daily back up in place for all your computers. Not sure of how to back up your computers? We can help. Up & Running Computer Solutions, Inc. can help you put a backup system in place for your business. We are a premier Computer Consulting and It Services company. After installation we can help with any problems you experience with your back up or any other computers or network problems you may have. Call us today to find out what we can do for your business! 951-737-8558. Visit our website at www.urcs.net. Serving Corona, Anaheim, Riverside, Irvine, Tustin, Newport Beach and more!